Christy Davidson is a certified personal trainer, yoga instructor, and online fitness coach. She has a strong desire to help others transform their lives and find their passions through fitness. When she is not in the gym, you can find Christy at the beach, on her next travel adventure, or in a coffee shop. Christy graduated from Colorado State University with a B.S. in psychology in 2017. 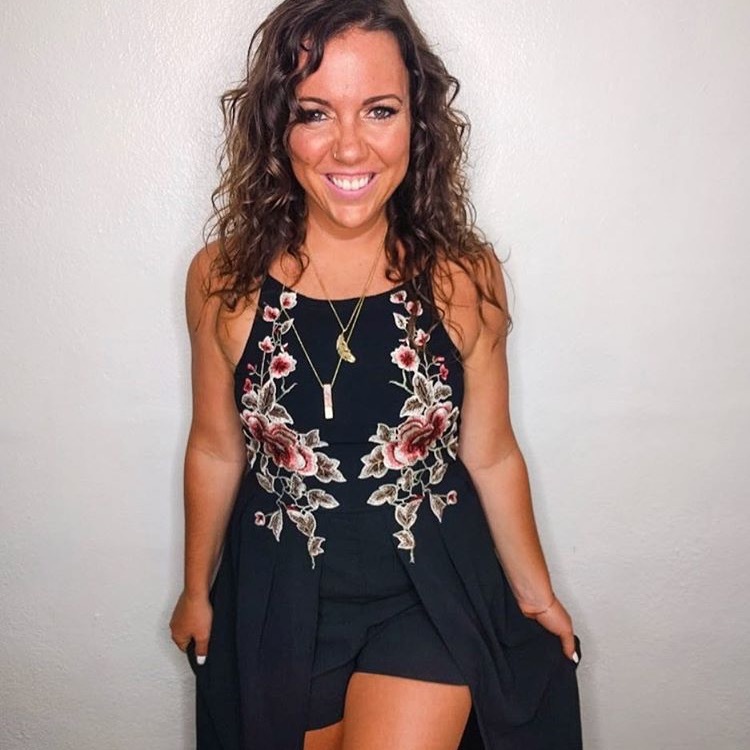 Her vision is to use her social media platforms, fitness coaching, and programs to inspire others to reach their full potential and find true health and happiness. I was born in raised in Georgia, but now live in Florida, fulfilling my lifelong dream of living at the beach. Growing up I was a swimmer. I was the captain of my high school swim team, and I coached my summer swim team for 4 years. That is where my love of being active started and where I first learned how to teach and coach others. I wasn’t the best swimmer, but I have always loved being in the water. When I went to college, I did not have any idea what I wanted to do for a major, let alone career. I immediately started going to the gym a lot, and fell more in love with working out. I decided to major in exercise science, and continued to for another 3 years. College was the first place I tried yoga, which I was instantly drawn to. I would go to classes 3-4 times a week. I suffered from anxiety off and on and I found that yoga gave me a peace unlike anything else. This led me to becoming a certified yoga instructor in 2012. I have taught in many places since: gyms, studios, beaches, and senior centers. I absolutely love it. After a few years in college, I lost my direction and ended up taking time off from school. During this time, I moved out to Colorado, which was a HUGE change in my life. I would recommend to anyone getting out of your comfort zone because you learn many things about yourself. While I loved living there, I did slowly begin to lose my passion for health and fitness during that time. I struggled to find balance between fun and health. I had a blast, but over time I started to gain weight. When I moved to Florida in 2015, I was the heaviest I have ever been. I had never struggled with weight; not seriously at least. My clothes didn’t fit, I didn’t have much confidence, and I was pretty down on myself. 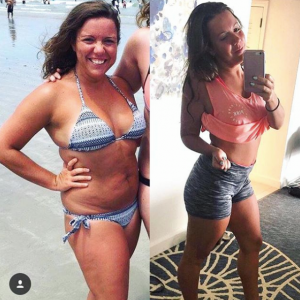 This led me to Instagram, where I found inspiration from people who had the fitness lifestyle I wanted. I enrolled in a challenge led by a girl I followed, and that kick started me back into fitness. I found weightlifting for the first time, and that changed EVERYTHING. I learned about metabolism, strength training, and macro tracking; all which played a huge part in my weight loss. During this time I also finished school with a bachelor’s degree in psychology; an achievement I wasn’t always sure I could attain. I want to help others to make the same changes I did. In 2018 I became a certified personal trainer through the National Academy of Sports Medicine (NASM). I began training clients at my gym and absolutely love it. My vision is to help people not only better themselves physically but mentally and emotionally. I hope to inspire people to find what they really care about in their life and go for it.